*Click to verify my certification and view my score. The average person only uses about 14% of Analytics, ironically about the same amount of average brain usage in humans. 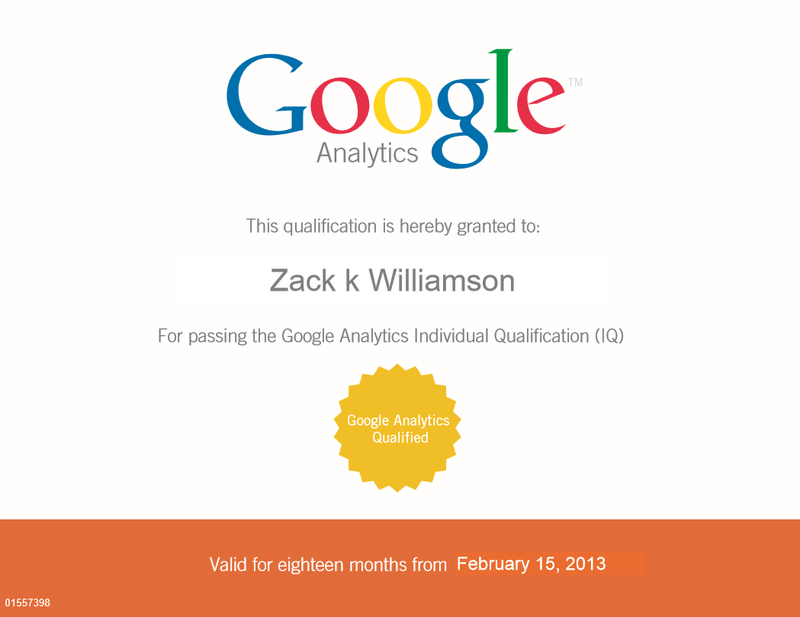 After 10 years of using Google Analytics and one month of taking courses and prepping, I finally got my GA individual certification and passed with a 92%! Becoming a Google Analytics Certified Expert has really been a great learning experience and even after countless hours of messing around in Analytics, I can say that this course has been one of the more enlightening experiences of my SEO career. While studying for my certification exam, I put together this 15 part tutorial that covers everything you will need to know to get your GAIQ certification along with a few bonus lessons, tips, and tricks. 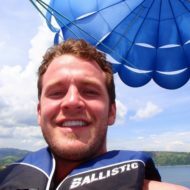 If you don’t have the time or desire to learn Analytics but you still want to get the most out of it, you can hire me or another GAIQ certified individual to integrate your site with GA. Don’t spend another penny on SEO or marketing until you have proper tracking of goals, ROI conversion and more. A skilled Analytics consultant can setup your reports to better identify which keywords or channels produce the highest ROI or conversion ratios, identify abandonment and identify new opportunities that you didn’t even know existed. This can be done by tracking goals, events and other important Calls to Action and comparing them with engagement, keywords, referrers, locality and many more metrics. Once your site is fully integrated with Analytics, I will be able to cut the fat off your marketing campaigns and can usually increase the bottom line of your website by at least 30% or more!